On a national level, research shows the average homeowner will call a plumber once every three years; here in Philadelphia that number is a little higher. One of the things that we often get asked is “What’s the most common plumbing problem that you see in Philadelphia?” Our answer often surprises people when we say… “Neglect.” Most of the common reasons people call a master plumber are due to residents not taking care of small problems why they still are small. By overlooking the warning signs of a larger problem -the standard appointment often turns into an emergency visit. Taking a look back at many of the service calls that we perform in the Philadelphia area; we have compiled a list of the 3 most common reasons that people call a master plumber. Hard water deposit buildup in the components keeping them from properly sealing. A resident will add detergents or chemicals to the water to help clean the toilet. (the famous blue water) This may keep your toilet sparkling clean but, these chemicals over a period of time can cause a deterioration of the seals; even making the rubber itself turn into a gelatinous substance that loses its integrity and shape. Mis-adjusted handle chain. The toilet handle is not a lawn mower pull cord… So when someone slams down on the flush handle it can cause the chain to separate or get tangled causing the flapper valve not to seat. While it is a quick fix for your plumber its still a service charge to come out and take care of it. 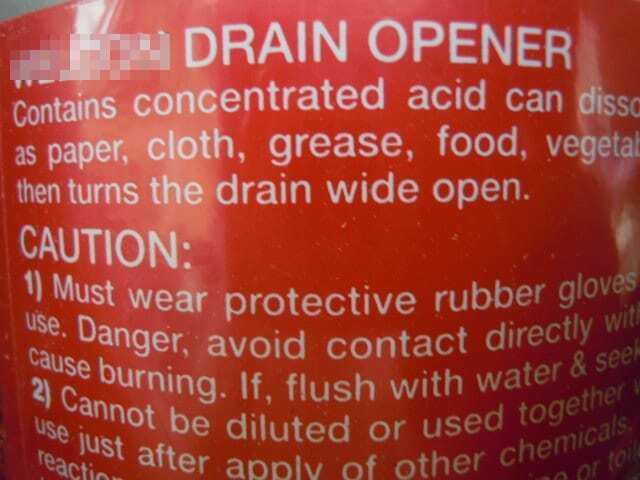 Chemical drain cleaners, unfortunately can’t fix every clogged drain. When the “self help” methods don’t work… we get the call. However, most of the clogged drains that we come across in Philadelphia are because something, other than water, went in them (which they weren’t designed for). Grease, hair, beauty products, bits of food, plastic and chemicals all can create a build-up that retail level cleaners just are not aggressive enough to dissolve. Proper use of the drains can make for trouble free use. Avoid pouring anything down the drain that is thicker than water. Foreign debris (anything other than liquid) should not be placed or washed into the drain. Depending on how the plumbing in your Philadelphia home was routed, it typically goes through 2 to 4 – 90° turns before it exits the home; giving the drains plenty of opportunity to develop a clog beyond the reach of drain cleaning chemicals. Water heaters are the silent helper in your Philadelphia home, usually installed outside of the visible common areas of your home, it’s easy to forget about the water heater until it fails. 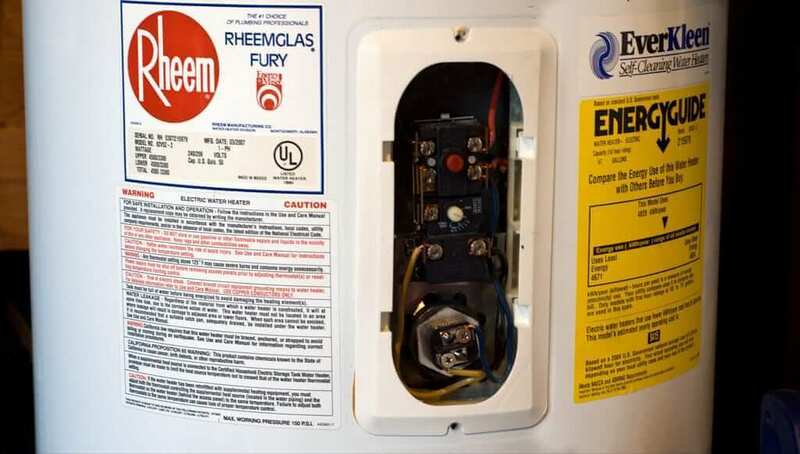 With most water heaters having an average of 10 years of useful life, we have received numerous service calls from Philadelphia residents where the water heater was 15 years or older. Age: The life span of a water heater is 8 to 12 years. Occasionally you can see them last longer but will generally have reduced efficiency. Rust in the water: Because most hot water heater tanks in Philadelphia are made out of steel; if you begin to notice small pieces of debris or a rust color to your water you need to replace your hot water heater. A popping noise when the water heater comes on (gas units): This occurs when large amounts of sediment has built up on the bottom of the tank from interior deterioration. This is a sign that water heater should be replaced soon. A visible leak: While some water heater leaks can be repaired by a master plumber, if the leak is coming from a seam or out of an area that is inaccessible; it will probably need to be replaced. Visible signs of rust and corrosion: When you can see heavy rust build up around the connections or base of the water heater, its smart to go ahead and replace the water heater. While surface rust does not affect the functioning of the water heater at first; it can quickly develop into a leak. Often times premature rust can develop when a water heater is installed in Philadelphia homes to sit directly on a concrete floor exposing it to moisture, a properly installed water heater will be placed on a stand of sorts (depending on the available space) to help prolong this concern. The hot water is lukewarm or cold: There are several components of a water heater that would cause it to not function properly including the heating element. However, if any of the other conditions are present in conjunction with it not functioning properly, then the water heater should be replaced. iFixdit, LLC is your local Philadelphia registered master plumber that can take care of all of your plumbing needs. iFixdit, LLC is a fully licensed, bonded and insured plumbing service providing protection for our company as well as giving you peace of mind. Every plumbing repair, maintenance or installation will have a licensed master plumber on the property to work and supervise. This not only helps us ensure the quality of our service but also make sure that we get your plumbing problem fixed the first time. Not too long ago, on a service call for a Philadelphia customer, she said: “you’re not what I imagined you’d be.” So I started thinking about how Hollywood and the media portrays this industry and perhaps how misunderstood the career of a plumber really is. 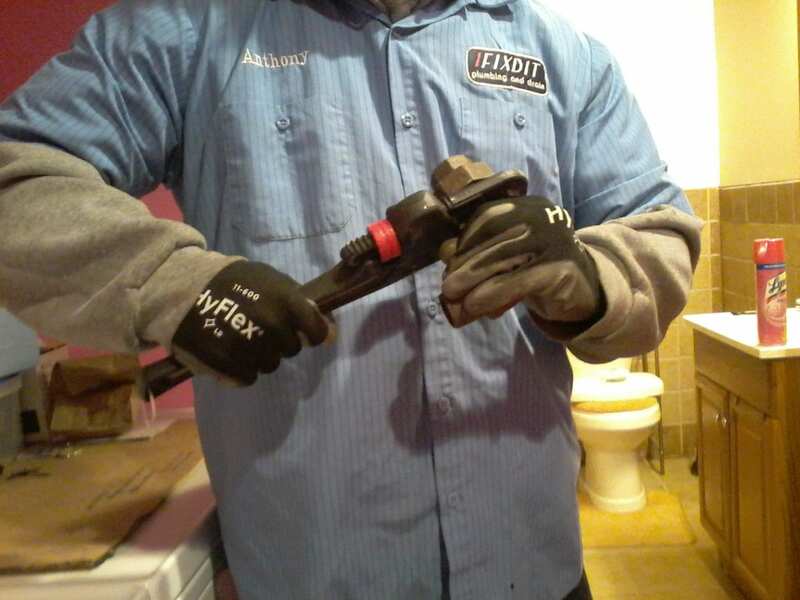 iFixdit’s Master Plumber, Tony, doesn’t play a plumber on TV, he’s a master plumber in real life serving the great residents of Philadelphia for years. This article will highlight, and perhaps try to present a better understanding, of the tasks, risks and career of a licensed master plumber in Philadelphia. Most plumbers work alone: While this sometimes has its advantages; hauling equipment, tools, air tanks and plumbing materials up and down many flights of stairs to basements, apartments and rooftops in Philadelphia can take its toll. For some larger repairs a plumber may need to haul 300-500 lbs. of materials to get a job done. Plumbing work is physically challenging: Aside from the physical demands of hauling tools, materials and equipment; to access many areas requires some flexibility: maneuvering underneath sinks, down crawl ways, through attics and sewer access points means a plumber must work in awkward positions to be able to complete the task. These awkward positions can cause muscle strain and musculoskeletal injuries according to numerous medical and legal articles on this subject. Additionally, these injury risks are magnified when working in wet environments that can increase the chances of a slip and fall. Working with water heaters, boilers and other pressure vessels adds to the chances of being scalded or burned. Because many plumbers work alone, a serious injury may not be detected immediately compounding the risk factor for serious injuries. Plumbers are exposed to extreme bio and chemical hazards: Everyday your friendly, neighborhood plumber in Philadelphia is exposed to chemical and bio hazards from raw sewage, harboring bacteria such as: tetanus, leptospirosis, hepatitis, E.coli, giardia, salmonella, cryptosporidium and dysentery, to animal droppings that can be infected with psittacosis, histoplasmosis and hantavirus. A large risk factor is being exposed daily to toxic mold, especially in older Philadelphia homes and apartments where a slow leak has permeated the walls. Don’t forget about chemical hazards from toxic drain cleaners, lead exposure in pipes and asbestos in insulation, pipe covers and walls. 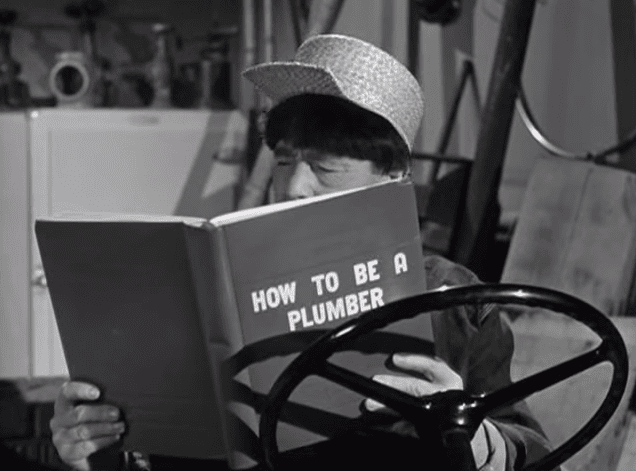 Again, the perception given by the media and Hollywood is that a plumber is just a worker (often portrayed as uneducated), but that’s actually, quite far from the truth. Plumbers are extremely knowledgeable and skilled: In addition to the certifications and training necessary to work in such a diverse industry; a plumber is also skilled in reading blueprints, electrical schematics, diagrams and must be a master of local and federal regulations as well as building codes. Choosing the career of a plumber means hundreds of hours of licensing & certification training, years of apprenticeship and dedication. A master plumber/ small business owner spends, on an industry average, $500,000 in training, tools and equipment to be able to perform the services needed for their customer. This does not mean that the master plumber will be successful; successful small business plumbing services must add to that a desire and commitment for customer service, safety and integrity of business in order to last more than a few years in the Philadelphia area. 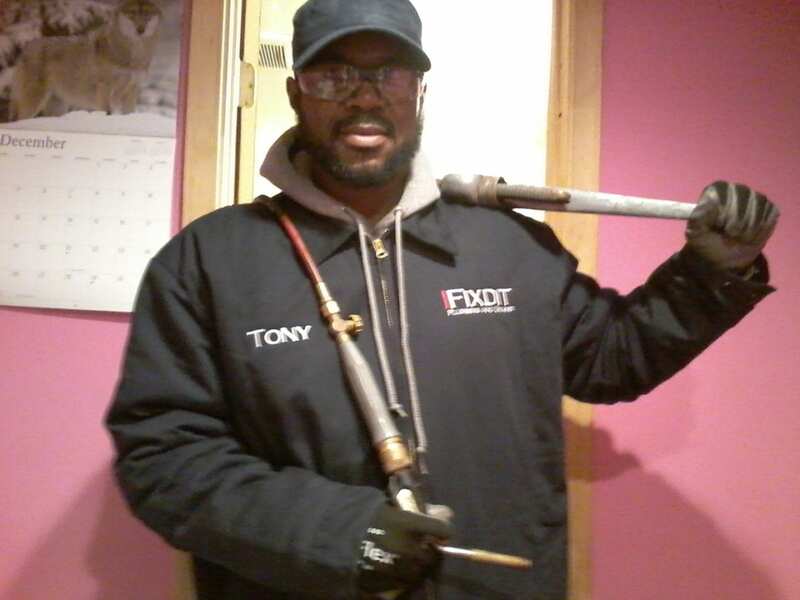 iFixdit’s master plumber and business owner, Tony; has made the investment of time and money because of his love for the diversity of this industry. No two days are the same as each project in this Philadelphia market is a little different; bringing about troubleshooting skills and job satisfaction for each customer that he serves. Philadelphia is a great city but, it is only great because of how terrific the residents and citizens are. It is a privilege to serve this great community as a master plumbing company. You hear it every once in a while in your Philadelphia home, a toilet that will run the water for no clear or apparent reason. You don’t think much about it until you start seeing a few dollars extra on your water bill or you hear the water running more frequently. The staggering truth is that a faulty toilet that intermittently runs to refill lost water due to an internal leak or defective system can use up to 10,000 gallons per year! iFixdit, LLC has been serving the Philadelphia area for years providing high quality plumbing repair services; in this article will shed a little light on the water waster: “the leaking toilet” and how you can save yourself money as well as have an impact on conserving water for the Philadelphia community. How to fix a running toilet? 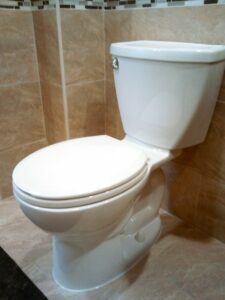 Fixing a running toilet in Philadelphia will depend on many different factors such as how often is it running, when does it occur and is the problem visually identifiable. Below are some things to look for to see if you can determine how to keep your toilet from using excessive water by running too often. If the chain is too long it may get caught underneath the flapper causing it to continually leak internally keeping the water flow constantly needing to turn on. 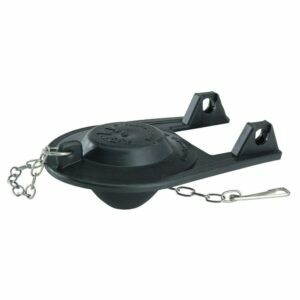 Noting that the chain has an adjustment with the clasp to the handle, simply shorten the chain to correct this problem. If the chain is too short it can cause the flapper to pull away from its hinge (which is just thin rubber hooked around a plastic stud) leaving the flapper not to close properly at all. Re-attaching the flapper, if it hasn’t been damaged and lengthening the chain by a couple of links should correct this problem. In a few cases we have seen where water erosion, in older Philadelphia homes, has degraded the seal in the top part of the tank. When this happens the flapper, even a brand-new one, will not be able to properly keep the water from escaping internally in the toilet. The proper repair in this instance would be to have a plumbing professional such as I*Fixdit, LLC -Plumbing and Drains replace the seal or in some cases recommend the replacement of the toilet for better efficiency. The valve in the float is the device that allows water, at a metered interval, to come into the upper tank after a flush. When the flapper valve opens, it releases the water from the upper tank into the lower bowl to create a flume of water that will instigate the flushing process. The valve and float replenish the water in the upper tank to a preset level, which is where the float comes in. If the float is not properly calibrated or sticks in some way to the side of the tank or shaft (depending on the design) it can cause the water to run excessively. Note: most modern valve systems in Philadelphia have a failsafe to keep the water from overflowing in the upper tank. Move the float down to see if the water comes on and off when it comes up. If so flush the toilet and watch the operation of the float to see if it appears to stick either on the valve shaft or the side of the upper tank (depending on the style of valve and float you have). If the float appears to stick on the side of the tank, simple repositioning should take care of it. If the float is getting stuck on the side of the valve shaft, this is generally a non-serviceable item and should be replaced. If the water valve is the culprit it will generally show itself by excessive leaking from the top of the valve shaft. If the seal gives way or mechanical failure in the head of the valve occurs, the water will run continuously because the float is the mechanical trigger that turns off the valve and is generally cheaper to replace the part than it is to repair. Note: Most box store toilet repair kits in Philadelphia include the valve and float assembly and flapper valve. These components are generally made from cheap plastic and are only anticipated to work less than a year. Because labor can be kind of messy for this type of repair, it is recommended to spend a few extra dollars and get the best you can afford if you choose to repair yourself. When should I call iFixdit, LLC -Plumbing and Drains? You should contact I*Fixdit, LLC -Plumbing and Drains, at any time that you feel that you don’t want to deal with repairing your running toilet, don’t have the tools to repair the running toilet, or none of the instances above seem to fit why your toilet is continuously running. iFixdit, LLC -Plumbing and Drains has been serving the Philadelphia community for years providing quality and timely professional plumber services for everything from clogged drains and toilet repairs to plumbing installation and pipe repair for new homes and remodels. Our registered master plumber is ready to help with your plumbing needs. 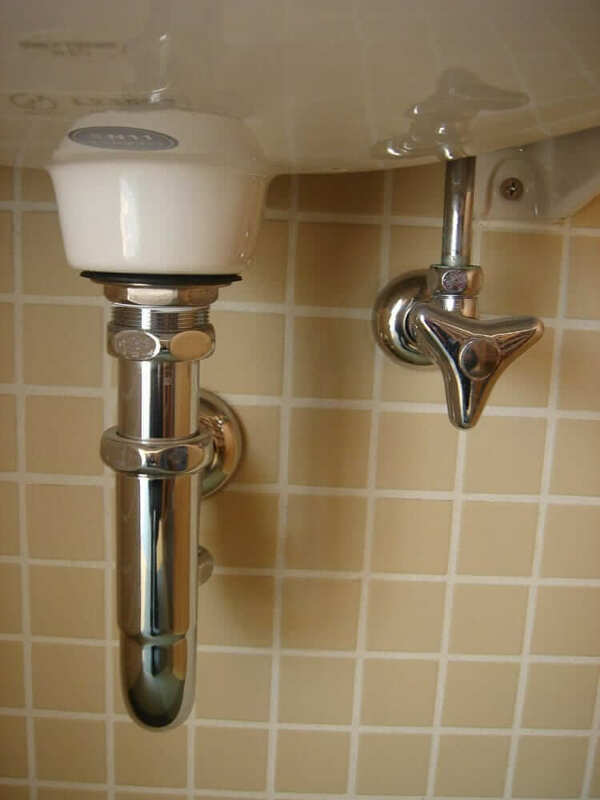 You found that you need to hire a professional plumber in the Philadelphia area. 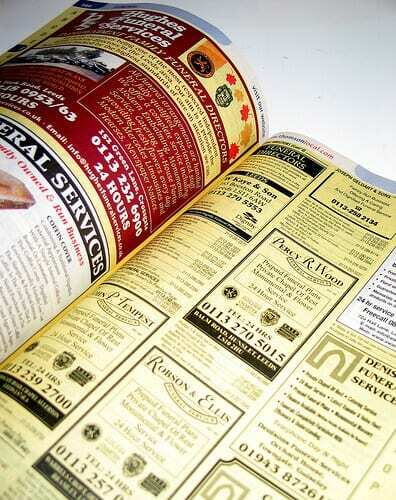 Opening the phone book, you immediately are overwhelmed with hundreds of plumbing services that all say that they’re the best. So who really is the best? You could interview dozens of professional plumbing contractors until you got that “glimmer” that told you that this was the right one for you; or could follow these simple steps to help make the right selection of a professional plumbing company in Philadelphia a little easier. While this is not a deal breaker for choosing a plumber in the Philadelphia area, it can give you some insight on their best business practices. 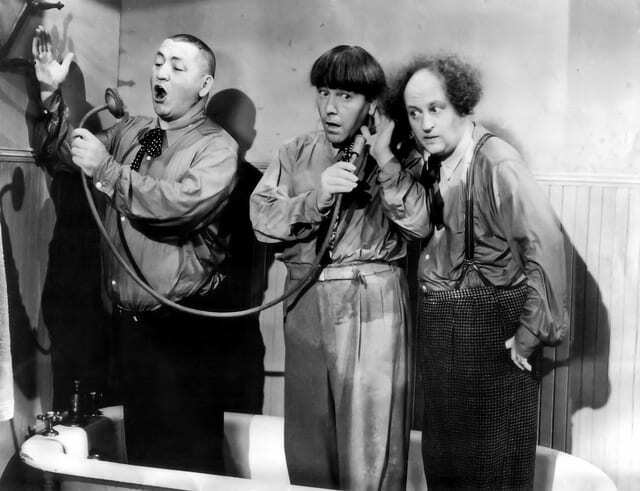 Their plumbing website should contain information about the services that they offer in the Philadelphia area as well as customer reviews and background information on the company. Look for subtle things that let you know that this plumbing company has been in business long enough to develop the reputation they’re bragging about. You should also look at the plumbing website presentation as well; if they’re not willing to present their workmanship in an attractive presentation online… it does give a little glimpse into how they do business behind scenes. If they’re willing to cut corners on something as simple as a website… they will probably want to cut corners on expenses for your plumbing service as well. Make sure to ask questions! Some of the largest disagreements between a plumbing company and customers is where a customer did not ask the right questions. Now this doesn’t mean that the customer is solely at fault… oh, Nay Nay; but the more educated you are about the plumbing process, materials used, code regulations and warranties the happier you will be with the final repair or installation. So many plumbing contractors in the Philadelphia area simply identify to their customers the final product without a lot of information, so make sure that you’ve written down some questions to ask so that there are no surprises when the bill comes. Be sure they are licensed, bonded and insured! So many plumbers in the Philadelphia area are out representing themselves as a professional plumbing service, but have not taken the time to protect your investment, and the reputation of their company by becoming properly licensed bonded and insured. While there are licensing & certifications necessary to become a master plumber, these certifications do not protect you in the event that an incident should occur. Being sure that you have a plumbing company that have taken the proper steps to become properly licensed, bonded and insured for the Philadelphia market means that your hiring a company that cares about its reputation and integrity within the Philadelphia community. iFixdit, LLC Plumbing and Drain service is a registered master plumber providing plumbing services to the Philadelphia area. Our years of experience in the plumbing industry has taught us that having a business that is successful means more than just being a good plumber, but it takes being a good company as well. Starting with the first phone call made to iFixdit, LLC you will find that you contacted the company that cares about its reputation within the Philadelphia community. Customer service and integrity are the first standards to establish a quality workmanship and long-term relationship with the great residents of Philadelphia. When experience matters, be sure to contact iFixdit, LLC… your hometown professional plumbing service. What different types of kitchen faucets are available for my Philadelphia home? There are some things in Philadelphia that simply don’t change: taxes come due, politicians are crooked… and kitchen faucets wear out. 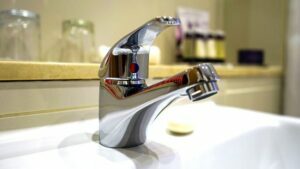 Consider how often the kitchen faucet is used in your Philadelphia home; now consider that most kitchen faucets are mostly built from thin aluminum and plastic… The fact that kitchen faucets can wear out at least once a year is not a surprising statistic. When this happens, residents in Philadelphia have come to trust I*Fixdit, LLC -Plumbing and Drains for their plumbing repairs and upgrade services. When it comes to replacing kitchen faucets and fixtures we don’t look for the cheapest… we look to the best; it simply makes sense to get the best available faucet for your Philadelphia kitchen when your needing to have it replaced. This will save you labor costs and provide you with trouble-free use for several years… rather than every year. With this fact in mind, let’s look at the different types of kitchen faucets that are available for your Philadelphia home. This style of kitchen faucet in Philadelphia traditionally comes with a single handle that allows you to adjust the water flow and temperature with just a small movement of the handle. This faucet is available in a variety of models ranging in price from $25 – $200 depending on the type of material and the level of quality. One model we particularly like to recommend in this “pull out style”, is the kitchen faucet that allows you to pull the handle of the sprayer out, attached to a hose, allowing to more easily wash pots and pans. A step up from that would have a switchable spray head that also allows for a steady stream or spray feature. NOTE: When utilizing kitchen faucets that have a sprayer hose you need to make sure there is enough open space inside the kitchen cabinet to allow unimpeded movement of the hose. Several repairs that I*Fixdit, LLC -Plumbing and Drains has performed in the Philadelphia area, have resulted from a hose that was caught on something inside the cabinet, causing a homeowner to pull the spray hose harder, eventually damaging the sprayer unit. Pull down kitchen faucets are identical to pull out kitchen faucets except for the fact that the neck of the faucet is much taller allowing for this style the function. 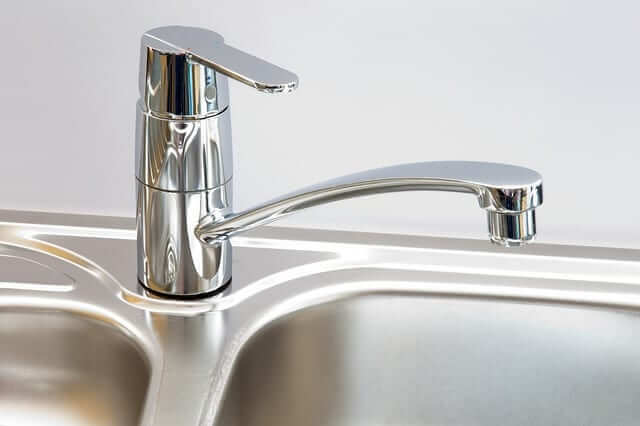 The handle for adjusting water pressure and temperature is generally placed on the side of the faucet rather than the top to facilitate the taller neck of the kitchen faucet. This style of faucet is very popular for newer Philadelphia homes that want more of a restaurant feel to their kitchen aesthetics. This kitchen faucet is also a little more durable because the taller neck facilitates the need to use metal over plastic for strength and rigidity. Seen more in older or traditional kitchens, the two handled kitchen faucet has been a mainstay of the industry in Philadelphia for over 100 years. This faucet is available very inexpensively, but it also can be made very cheaply as well; so be sure to use caution when choosing the right kitchen faucet for your Philadelphia home. The Two handle the faucet option also can present itself with a variety of add-on options such as: a separate sprayer, integrated sprayer and even a soap dispenser. Combining modern style with modern function for your Philadelphia home is the motion detection/touchless kitchen faucet. Naturally selecting this particular faucet will be more expensive because of the technology implemented into the design. However, when it comes to functionality; these are a pretty nice addition to your Philadelphia home. We have seen some trends develop through different kitchen faucet suppliers that are offering this motion detection/touchless kitchen faucet with cheaper made materials, but still have the same aesthetical look, so be careful. Sticking with the brand name in this case is not a bad idea. It is also important to note that the addition of the motion sensor components will make the initial installation more expensive. Additionally, if the unit would need to be repaired; few, if no, replacement parts are available as it is assembled in such a way that would require complete unit replacement if the motion sensor kitchen faucet should begin to falter. When considering upgrading your kitchen faucet for your Philadelphia home, take a moment and consider the general layout or style that your kitchen would portray. If you install, for example, a shiny pull down kitchen faucet in an older, traditional kitchen setting; it’ll stick out like a sore thumb. While you might want to have the modern convenience of the better quality kitchen faucet, just take a few moments to think about the aesthetic appearance for the kitchen in your Philadelphia home. Need to have a kitchen faucet installed a replaced in your Philadelphia home? Consider experience when choosing the right company to install or replace your kitchen faucet for your Philadelphia home. I*Fixdit, LLC -Plumbing and Drains has been serving Philadelphia as a licensed master plumber for years and can provide the experience and customer service that Philadelphia residents have come to expect. We always recommend the replacement of your kitchen faucet with the best quality materials to utilize the industry’s best warranties; helping to cut down on the extended repair costs that may come from substandard components or fixtures. We work hard to give our Philadelphia customers the best price on the best materials with unmatched craftsmanship from I*Fixdit, LLC -Plumbing and Drains. Occasionally at iFixdit, LLC -Plumbing and Drains we get a phone call for a garbage disposal repair from a Philadelphia resident; once we determine the problem and repair the garbage disposal quickly: the response is “What? That was all? I could’ve done that myself!” It is true that there are many things that the average homeowner can do to troubleshoot and repair a garbage disposal. 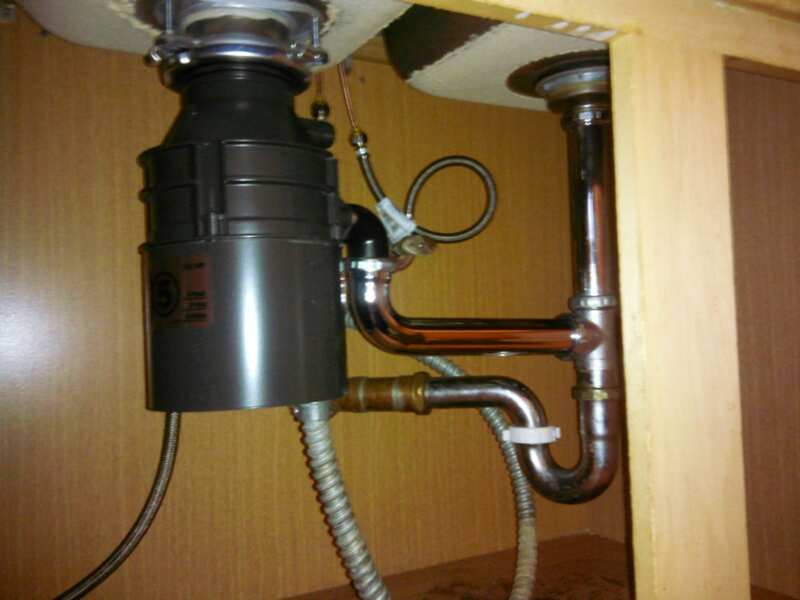 This article will cover an understanding of garbage disposal function, troubleshooting and do-it-yourself repair that anyone could do instead of contacting a master certified plumber. There are some repairs that will require the services of iFixdit, LLC -Plumbing and Drains; we will cover a few of those as well. How does a garbage disposal work? A garbage disposal is a machine that essentially is an electric motor that will incinerate or liquefy food through the process of friction/agitation. As the electric motor spins, centrifugal force will push the food material against an aggregated ring (called a shredder) on top of an impeller plate. Mounted to the impeller plate are two lugs that assist in moving the larger food material against the shredder ring. Mixed with water, this allows the final product to be minced into small particles that will escape through the holes of the impeller plate out and through the plumbing system of your Philadelphia home. As complicated as that may sound, it happens very quickly; this violent process is contained within the hopper by a rubber flange that keeps the water and particles from flying back up through the sink. NOTE: Some garbage disposals will not function without the appropriate stopper plug being placed into the opening as a safety precaution. Problem: When I flip the power switch, mounted on the wall a few feet from the sink, nothing happens. Do-it-yourself diagnosis and repair: First, check the reset switch at the bottom of the garbage disposal unit. Most modern garbage disposals, less than 10 years old, have a safety switch that will trip if the unit becomes overloaded, overheated or experiences an internal short. If you see that it is tripped, reset it and try again. If either of these conditions are present, hitting the reset button or resetting the breaker should correct the problem; however, if this becomes repetitious then there might be a problem with the electric motor of the garbage disposal. An internal problem might be causing the garbage disposal to overheat prematurely; setting these safety defaults in motion. If this occurs or neither of these resets worked; you should contact iFixdit, LLC -Plumbing and Drains for further diagnosis and repair. Problem: When I turn on the garbage disposal there is a deadening humming noise but it does not appear to be spinning inside. Do-it-yourself diagnosis and repair: The most likely cause for this is something jamming the impeller. The next steps should be followed very cautiously! Turn off the power to the garbage disposal. This is very important as one of the steps is for you to feel inside the hopper, if you feel that someone may accidentally turn on the garbage disposal while your hand is inside you should trip the breaker before you begin. 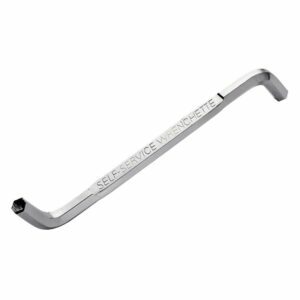 Use the supplied Allen wrench that came with your garbage disposal. Insert the Allen wrench in the bottom-center of the unit and turn it back and forth until you feel the motor it break free and turn freely. If you do not have an Allen wrench you can purchase one from a home improvement store for around $6.00. If using an Allen wrench does not work, reach your hand into the hopper to see if you feel something that might be jamming the impeller such as a chicken bone or even an unintended item such as a fork. Attempt to remove the item. If neither of these two processes free up the motor, contact iFixdit, LLC -Plumbing and Drains for further diagnosis and repair. Many articles and videos online will show you how to use blunt force inside the hopper to break the motor free, we do not recommend this for the average do-it-yourselfer. 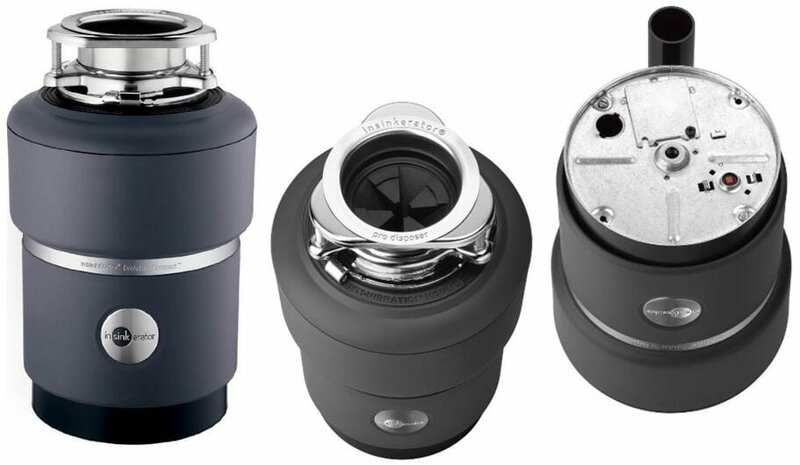 Because the items inside of your garbage disposal of your Philadelphia home are made from thin plate steel and aluminum, additional damage can easily occur that would force the replacement of your garbage disposal. 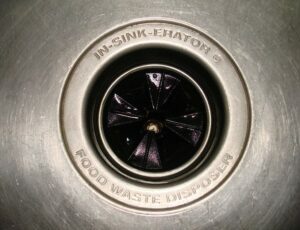 What causes a garbage disposal to fail? Age and use are the most common reasons why a garbage disposal may fail but there are some other common things that we see in the Philadelphia area as well. Placing fibrous materials consistently into your garbage disposal can jam the unit over a period of time. Foods such as celery are essentially a group of fibrous strings that are difficult for any garbage disposal to handle. Lack of cleaning. At least once every three months you should clean and sterilize your garbage disposal. Garbage disposal cleaning pellets can be purchased at a number of retailers including Walmart. Misuse. You would be amazed how many service calls that iFixdit, LLC -Plumbing and Drains sees in the Philadelphia area for garbage disposals that have been damaged due to misuse. A garbage disposal is designed to mince food and small particles; it is not designed to mince bones, fruit and vegetable peels, metal, wood, fiberboard, plastic, etc.. In the Philadelphia area, trust iFixdit, LLC -Plumbing and Drains as your local expert for all of your plumbing needs. For years our reputation has been developed due to our high level of customer service combined with extraordinary plumbing experience. We back that up by making sure that our plumbing service company here in Philadelphia has all the proper licenses and insuranc necessary to protect your investment as well as our reputation. When you contact iFixdit, LLC you will get a licensed plumber on every single repair visit, we do not farm out our repairs to trainees; but rather take steps to make sure that your plumbing needs are taken care of by qualified, licensed professionals. Why do the water pipes vibrate in my Philadelphia home? What causes the water pipes to vibrate? For many Philadelphia homes you will find that the water pipes are exposed to the basement, this would also be true for an apartment complexes well. 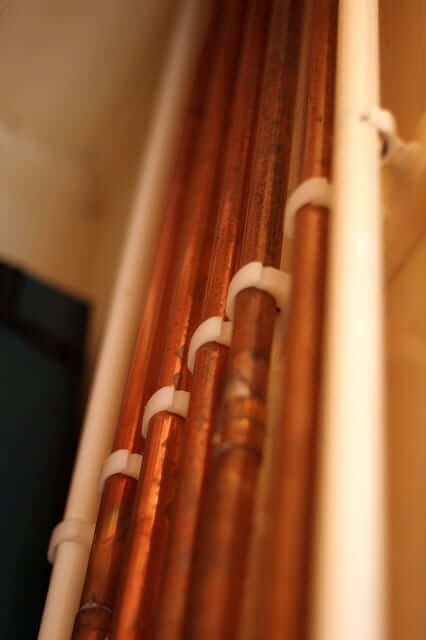 With many of these exposed pipes running to various faucets and toilets throughout the home a loose pipe can begin to rattle causing a metallic pinging noise. Older Philadelphia homes and apartments that utilize water radiators will have this noise amplified as the sound travels throughout the piping. Resolution: (you will need two people) Have one person flushed the toilet or turn on the faucet at the furthest point from the water source. Next have someone, starting in the basement, listen for the pipe that’s vibrating. If you can hear or feel the noise in the basement but not actually locate the exact center of the vibration keep trying. Go from room to room until you find where the noise is the loudest. If it turns out that the vibrating pipe is behind a wall it may in fact be the quietest part of the sound as this is also the lowest point of vibration. As the vibration travels it also can be amplified so make sure you are 100% sure before you start tearing into walls. If the vibration because of a loose pipe is not immediately apparent, be sure to contact your professional plumber at iFixdit, LLC -Plumbing and Drains to narrow down the vibration prior to cutting into a wall. If you should locate the vibrating pipe then simply use a pipe clamp to secure it to one of the floor joists. Pipe resignation is caused in larger Philadelphia homes when the quantity of metal pipes is great enough to cause a light vibration due to a harmonic signature that is produced. Resolution: Add additional pipe clamps and most important, insulated sleeves throughout the exposed pipes. As this great city of Philadelphia continues to grow, public works improvements are always looking for innovative ways to increase water pressure, flow density and conservation efforts within the city. As a result there are areas in Philadelphia that have really good water pressure. While this is a great thing when taking a shower, it can also cause a vibration in the pipes especially in homes that have not had an upgrade to the plumbing. The incoming water pressure should be between 40 and 60 pounds per square inch (PSI); naturally water pressure that is higher can create a vibration, a licensed, professional plumber can hook up a series of pressure gauges to determine if this is the problem. Resolution: a licensed plumber such as the professionals at iFixdit, LLC -Plumbing and Drains in Philadelphia can install a pressure reduction valve on the incoming water line to correct the problem. It may be also a good time to consider upgrading the water pipes in your Philadelphia home. The water hammer effect is a common occurrence where fast closing valves (found in toilets fill valves and faucets) shut off too quickly. The sudden stop of water causes a “hammer” effect. Depending on how high the fast shut off valve is in the Philadelphia home, the sound can be quite loud and heard throughout the entire plumbing system. Resolution: There are several ways to resolve a water hammer effect. First would be to replace those toilet fill valves and faucets that are causing the problem. Most high-end toilet fill valves and faucets sold today have this technology built-in; however, box store economy fixtures often will not. Having a professional plumber such as the professionals at iFixdit, LLC -Plumbing and Drains in Philadelphia can install an arrestor valve in the affected areas of the home. NOTE: If the water hammer effect has been going on for some time in your Philadelphia home it can create a buildup of water within air chambers installed within the plumbing system; this will cause a steady increase of the effect as well as cause damage to the system as a whole. 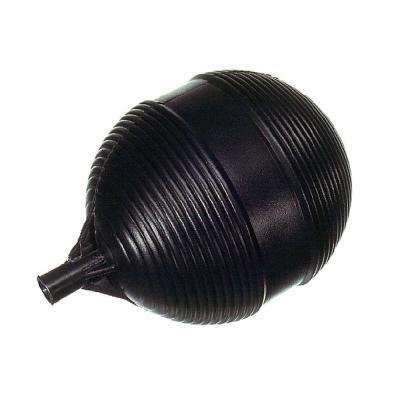 (Especially in multiple story homes) Air chambers are designed to help cushion against the water hammer effect in larger homes but can fill up with water over time, needing to be drained in order to be effective again. Open up all faucets, bathtub spigots and flush the toilets starting at the highest level of the home (farthest from the main water line) until all faucets have been open and drained. After all faucets have been completely drained to where there is no water running, close all of the fixtures, this time starting at the bottom and working your way up. Turn the main water line back on. Starting again at the very top (furthest away from the main water line) turn on all the faucets, bathtub spigots and flush all the toilets one at a time allowing it to run for a few seconds. The master plumbers at iFixdit, LLC -Plumbing and Drains are familiar with the common plumbing concerns that are experienced in Philadelphia. Whether you own your home or live in an apartment building/complex; diagnosing plumbing can be frustrating, and at times, expensive. We have met many residents over the years that have spent hundreds of dollars in diagnostic equipment and unnecessary replacement of fixtures as a “do-it-your-selfer” only to find that they’ve needed to call a professional plumber after all. Save the headache by allowing iFixdit, LLC -Plumbing and Drains to diagnose your plumbing concern saving you both time and money. It’s that awkward feeling that you have when you’re brushing your teeth with the water running and see your bathroom sink not draining properly. Naturally, it always happens when you’re in a hurry to get to work. Understanding that many of the homes and plumbing in our great city of Philadelphia are older, especially in some of the older apartment complexes, unclogging drains can be a regular occurrence. 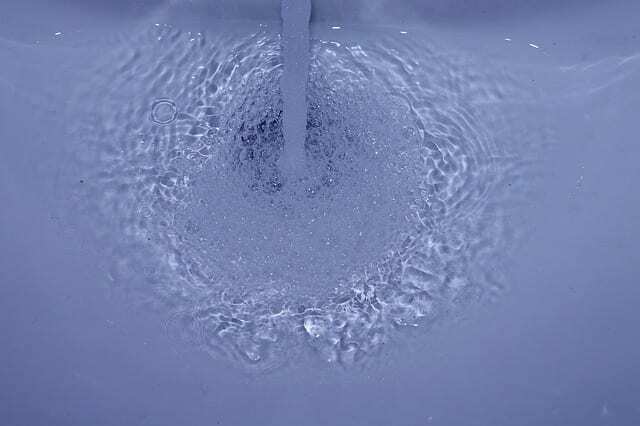 In this article we will look at some simple steps to follow to unblock a clogged bathroom drain. What causes a bathroom sink not to drain properly? Bathroom drains are smaller in diameter – compared to the kitchen and utility drains, bathroom plumbing is traditionally smaller making them more susceptible to clogging. Health and beauty products – health and beauty products can be made out of chemicals that are not easily biodegradable. Conditioners, coloring agents and lotions that are poured or rinsed into the bathroom sink may not cause an immediate backup; however, done so over a period of time can quickly create a buildup on the walls of the drainpipes that will slowly build to a restriction of water flow. For this type of buildup, traditional methods of extraction are not as effective as chemical agents which should be used sparingly if not by a professional plumbing service. Hair and debris – the bathroom sink becomes an all-purpose portal for hair, nail clippings, dirt, etc… All of which do not go down the drain without a fight. Hair especially can catch on the ribbed edges where the pipes connect as well as the sink stopper mechanism grabbing the hair to create an inevitable stoppage. For this type of blockage, chemical applications do not work as well as extracting the blockage; which may result in the disassembly of pipes or using a auger to remove the blockage. Areas outside of your control – this last reason for blockage is, for the most part, outside of your control; if there is a problem with the apartment building’s plumbing system or external influence within the drains (such as cracked underground pipes or tree roots growing through the main plumbing pipes) older apartments and homes in the Philadelphia area can find this to be a problem from time to time. Buildings and properties not properly maintained in Philadelphia by a professional plumber can lead to growing problems over the years that wind up in a complete blockage. This also means that you will have to go through the building supervisor, landlord or city to get the problem resolved. Then pull up sharply allowing the full suction of the plunger to pull the debris either into the sink or loosen it where it might drain. It’s noteworthy to mention that you may need to put on some old clothes to do this, when you are using the plunger in this manner it may slosh the dirty water on you. 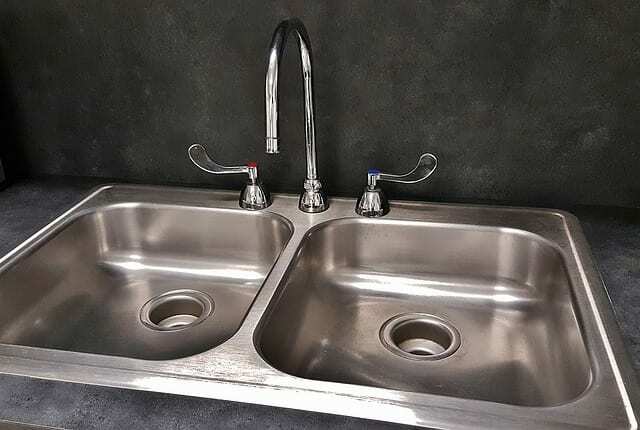 You may also, for sinks that are equipped with an overflow drain, need to seal the overflow drain with your hand or piece of tape to get the best suction seal for this process. Give the process approximately 5 to 10 minutes to work its magic. If it seems that it is draining better but is not draining completely poor 4 cups of boiling water into the drain. Drain Clearing Chemicals – drain clearing chemicals are a popular way of clearing out your drain. Much caution must be used as many of these chemicals are acidic in nature and can damage the lining of your thin plastic bathroom pipes. It is also important to realize that many of these chemicals are very dangerous if inhaled during the chemical process. Be sure to read the directions extremely carefully prior to use. It would be a wise choice to consult iFixdit, LLC -Plumbing and Drains in Philadelphia if you are unsure about using this method properly or safely. Cable auger – most difficult of these processes is the use of a cable auger to extract the blockage. First you must remove the trap or J-joint underneath the sink which connects the sink to the drainage pipes. Next insert the auger pulling out the cable slowly while turning the handle clockwise until you reach the blockage. Careful consideration should be made when using this method as any joints or tight turns within the drainage pipes might be damaged if you push the auger too hard or force it into the drainage pipes. Once you reach the blockage begin to turn the handle counter-clockwise, this will reel in the cable and hopefully bring the clog with it. iFixdit, LLC -Plumbing and Drains has been serving Philadelphia as a professionally licensed and registerd plumbing company for years. Our unique blend of customer satisfaction combined with experience derived from years of exclusively serving the residents of Philadelphia has created a reputation within our community of satisfied customers. Whether you have a bathroom drain that needs to be taken care of or you need a new water heater installed, rest assured that our licensed plumbers are ready to get the job done.